A nice gift for Christmas! Santa explain the beautiful story of Christmas and what he does during that special night. The child's name is in the story with the toy's he/she is asking for at Christmas. This book is 17x20.4 cm (63/4 x 8 1/4 inch), as 36 pages and contains 18 of which contain text and filled with 18 color illustrations. The cover is rigid, laminated and cleanable. You will receive a sticker to insert the picture of the child. 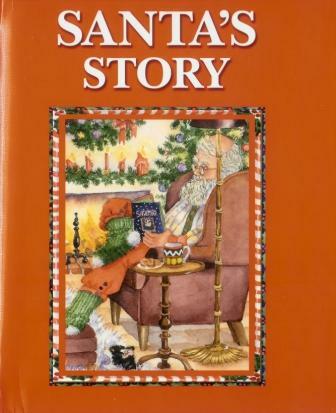 This personalized book is perfect for the child who wants to hear about Santa and Christmas. The child will love to hear you read to him/her and will be suprised that is name, is town and the toy's he/she wants for Christmas is in the story book.